Can you believe Fall is almost here?!! 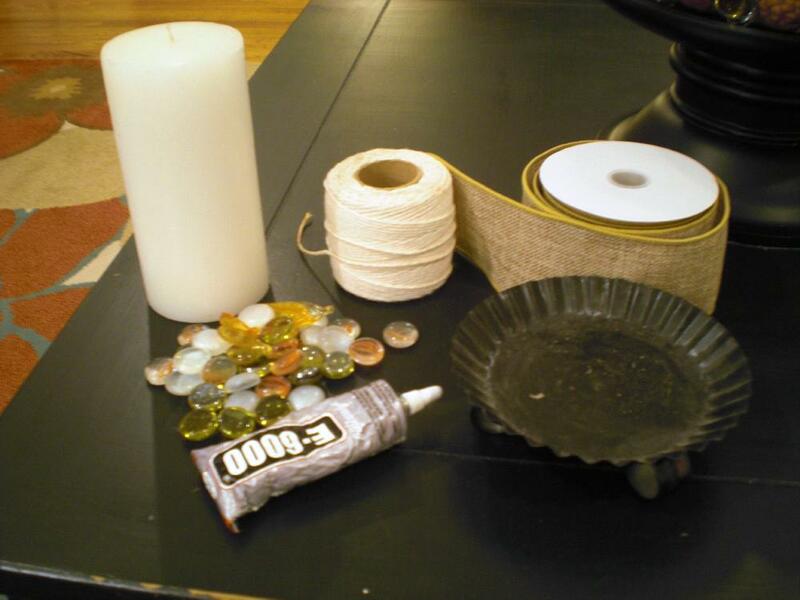 We've been busy decorating the cottage in preparation for the season and for this Makeover Monday, thought it would be nice to celebrate by giving a little tutorial on How to Makeover Simple Candles into Something Special for Fall. They can be lovely pillars of wax that have been sitting unsuspectingly around the house or perhaps ones that you've just picked up from the dollar store. 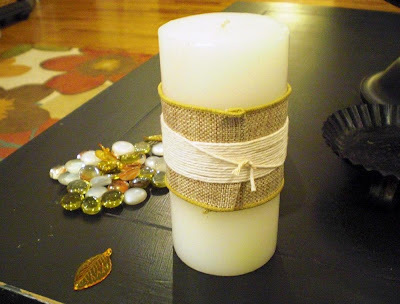 We love to use items already on hand to see what we can come up with, so we'll be decorating a white candle found in one of our cabinets along with some other supplies from our Fall decor baskets. Cut enough burlap ribbon to fit around the candle, fold the edge and glue it in place. 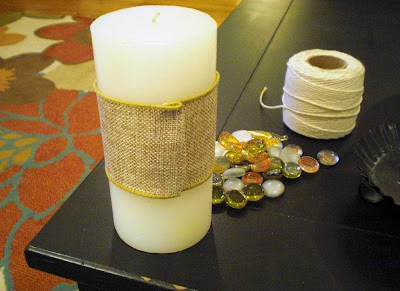 Next, wrap twine around the middle of the burlap and add a fall leaf detail onto the top layer of twine. 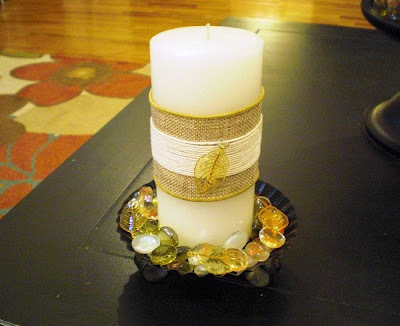 Now place your finished project onto a candle stand and surround it with glass marbles and embellishments. Mini pine cones would look great here too! 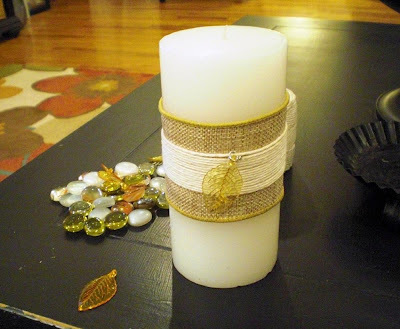 Stayed tuned in the weeks ahead as we'll be doing another simple candle makeover as it gets closer to fall. 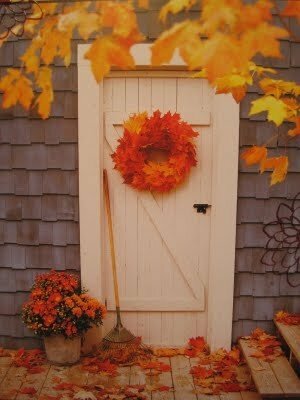 So, what frugal seasonal touches are you adding to your home this Autumn?